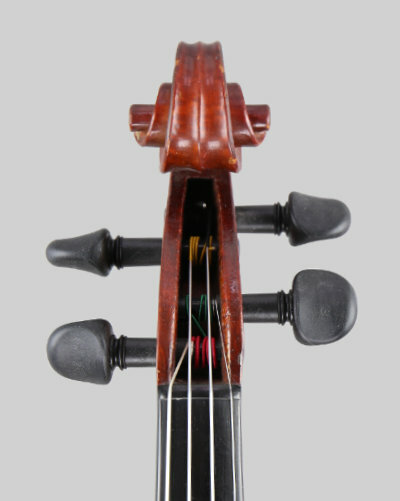 A fine quality violin by Charles Bailly. Stamped below the tailpin with the makers brand and carrying the makers label numbered and dated 1941. The back length is: 14.1/8 inches 358 mm. In excellent near mint condition, just very minor varnish imperfections. 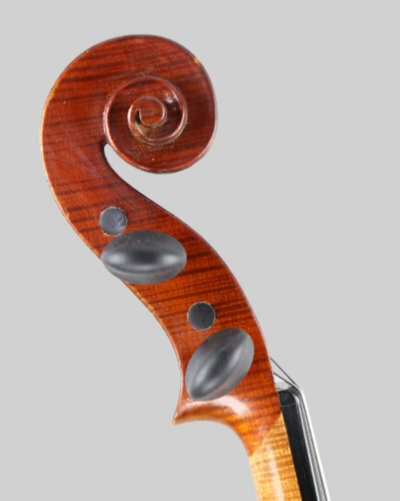 Well made with a nicely figured two piece back, a beautiful scroll and finished in a dark amber oil varnish. Set up with Obligato strings and supplied in a new lightweight case. 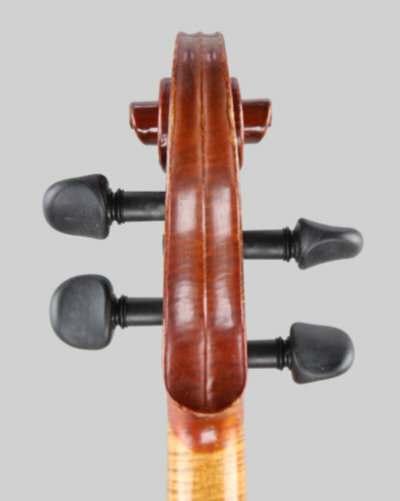 The violin has a warm sonorous bass and lovely clear treble, it is a well balanced violin with plenty of volume. A fine instrument!